Samgyupsal is so 2012 (in Manila, at least), but we’re unapologetically not over it yet. 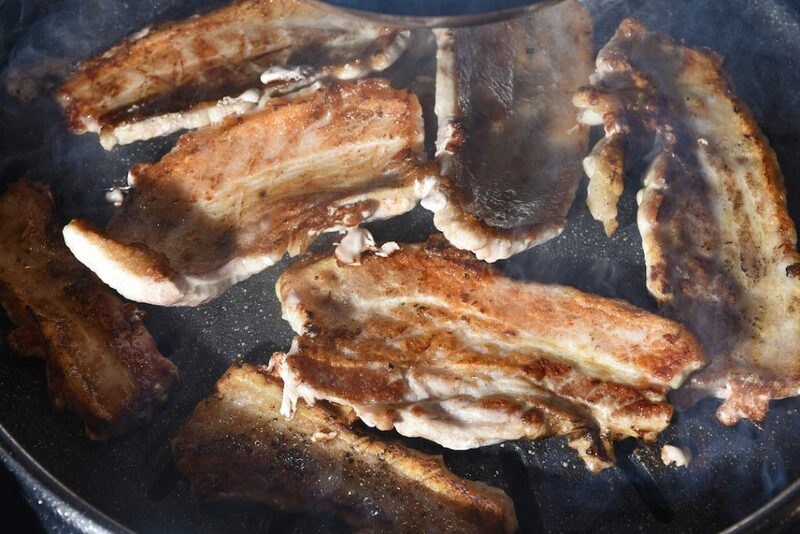 In fact, it seems like more people are becoming Korean pork and beef belly converts and it shows: There’s a demand that’s why Korean restaurants are still multiplying. Soban K-Town Grill, actually, opens its newest and seventh branch at SM Megamall today, Apr. 8. To celebrate this milestone, Soban is having an opening promo. From Apr. 8 to 10, guests can avail the Buy 1 Take 1 on all samgyupsal. 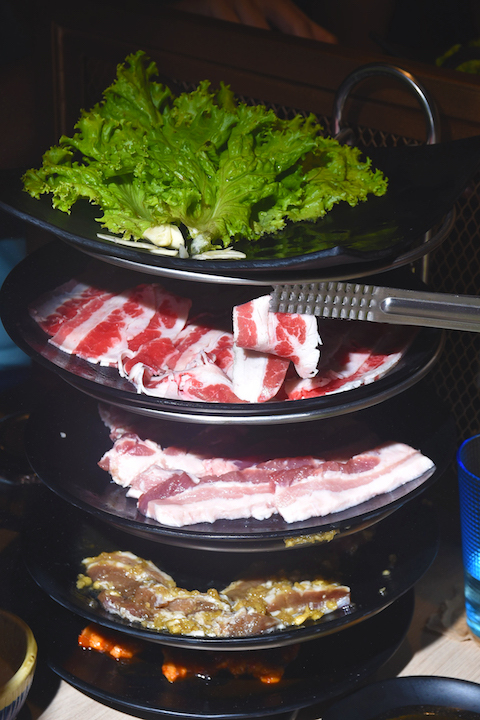 The free samgyupsal will be equal to or of lesser value to the guests’ purchased meat. Guests must also note that they can only avail two promos per table. This is only available at the SM Megamall branch. They’re also offering a new menu called Mega Meat Set for 2, which has USDA Choice Woo Samgyup Beef Belly and European Samgyupsal Pork Belly with unlimited rice, soup, and side dishes at P500 per person. 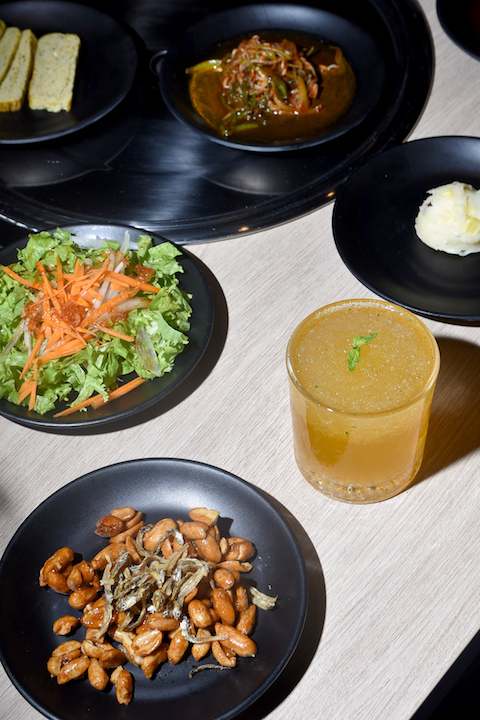 The side dishes are: pamuchim (leek salad), gyeranmari (egg roll), gamja sarada (potato mash), myeolchi bokkeum (roasted peanuts with anchovies), kongnamul (seasoned beansprouts), and homemade kimchi. For those with a smaller appetite or not in the mood for unli-anything, however, they have an a la carte menu for barbecue meats, which comes in three sizes: small has 120 g. of meat, medium has 180 g., and large has 240 g.
You can also find Soban K-Town Grill at Eastwood Mall, Alabang Town Center, Greenbelt 3, SM North EDSA, Robinsons Place Manila, and One Bonifacio High Street Mall.